It goes without saying that 2013 has been a year of great loss for the world of horror and speculative fiction in general. After all, it was just this past March where we found ourselves saying goodbye to horror greats Silva, Herbert, and Hautala – a moment in our rich history I know most of us will look back on with great sorrow and a shock no one was even remotely ready for. 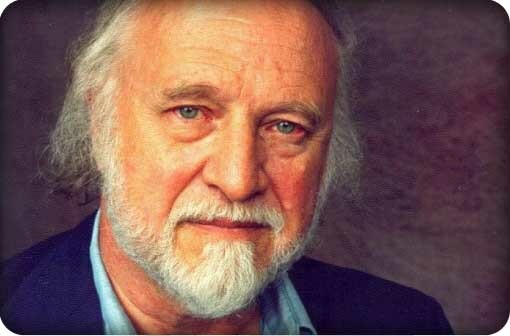 Today, though, we remember the great horror, sci-fi, and fantasy author and screenwriter – Richard Matheson. I don’t usually find myself having to remind folks just what Matheson’s career and achievements mean to fans throughout the horror and speculative fiction communities, as they surely already know. What surprised me, when I was researching his work after reading I Am Legend years ago, was that Matheson had his hand in more pots than anyone could possibly account for. Films like What Dreams May Come and Stir of Echoes were amazing discoveries for me in terms of realizing just how far this man’s reach was in the film and television industry. Granted, I was well aware of Matheson’s hand in classics like The Legend of Hell House; The Last Man On Earth, The Omega Man, Omega Man, and I Am Legend – all born of the same novella, I Am Legend; The Incredible Shrinking Man; and countless others – as well as penning 14 stories for the immensely popular, and frightfully inspirational television series, The Twilight Zone. Suffice it to say, the man’s mind was rife with original and insanely imaginative ideas, most of which can be found to be the basis for some of our favorite pieces of fiction, film, or television. I joked once that I wouldn’t be surprised to find that Richard Matheson wrote everything in our genre before any of us even thought about it, and I still mean it. The man was prolific and appeared to never run out of winning ideas. Noted creators such as Stephen King, George A. Romero, Anne Rice, and Brian Keene have publicly stated their influence at the hands of Matheson’s ingenuity, alongside the likes of others such as Richard Laymon, Ellen Datlow, John Carpenter, and countless more. The man left his mark on the world – not just in horror – but everywhere. I really don’t know what else can be said of the man, or how to describe the great amount of sorrow the team here at Dreadful Tales feels in finding that yet another hero and a mentor has passed away. We would like to extend our deepest condolences to the Matheson family in their time of need. Richard Matheson will always be in our hearts and minds as one of the greatest visionaries to ever grace us with his presence. Whether it be fiction, film, television, or radio, Matheson’s influence has been felt by all at one time or another – leaving us with a legacy and a legend to remember forever. See below for video of Richard Matheson’s acceptance speech for the Vampire Novel of the Century, awarded by the Horror Writer’s Association during the 2011 Bram Stoker Awards in Salt Lake City, Utah, for his classic I AM LEGEND. This entry was posted in Uncategorized by Mr. Dreadful. Bookmark the permalink.